Great filter at a great price. Really easy to install and the customer service is very helpful. I am really happy I happened to stumble across their Facebook page. Superb service! I am glad my order came quickly as my previous filter randomly stopped doing well about 4 months in. The filter from Clatterans is great. Easy to install and use. Thanks! Really easy to install and simple to flush. It works very well and exactly as described. I couldn't be happier. Normally I don't make reviews unless I hated the product. You know we've all done that! But, I really want to help this company out. Honestly, I was fed up paying nearly $200 a year on "brand-name" fridge filters when I could be spending half of that or less with Clatterans. The filters do exactly the same thing! 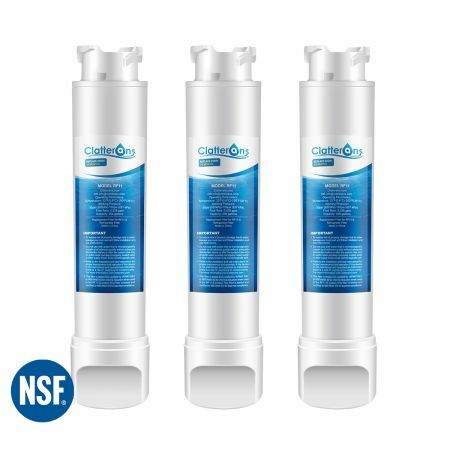 I bought 3 different brands of replacement filters from the internet with Clatterans being the second one. Although it was really easy to install, I did find I had some residue in my cups. I am unsure if it was the filter or not, but I decided to send it back anyways. I flushed the filter for a few cups, maybe I needed to flush it more? It was easy to install, but I wasn't super happy with it.. 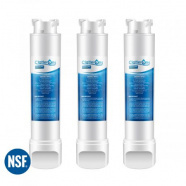 I don't see much difference in the filtration quality of these against other brands I've tried. It is a filter and does what it is meant to do, but is it special? I can't see it.